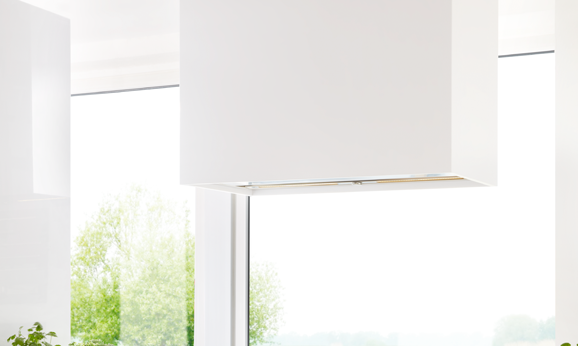 These free-hanging berbel extractor hoods are a head-turner in every respect. Suspended by cables, they hang freely above your kitchen island. 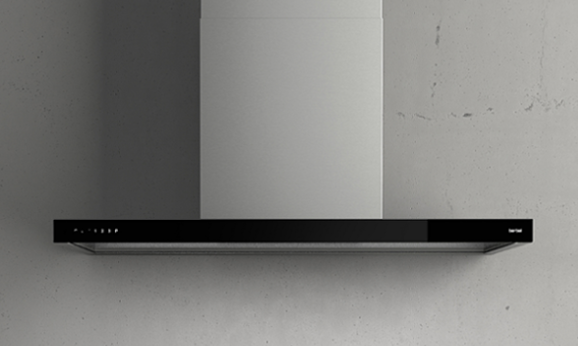 Activated by remote control, your moving island hood places itself into exactly the desired position. Its performance in recirculation mode is particularly impressive. 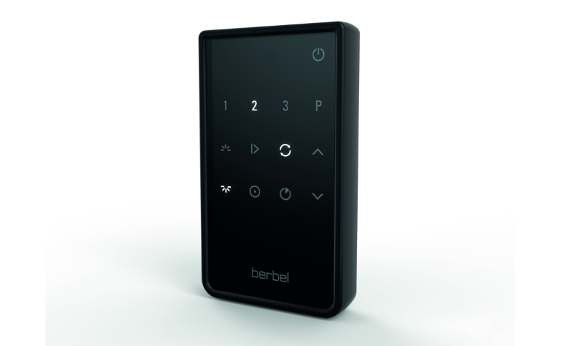 berbel's efficient recirculation filter cleans the air of 97% of odours. That's almost as good as an exhaust air hood. 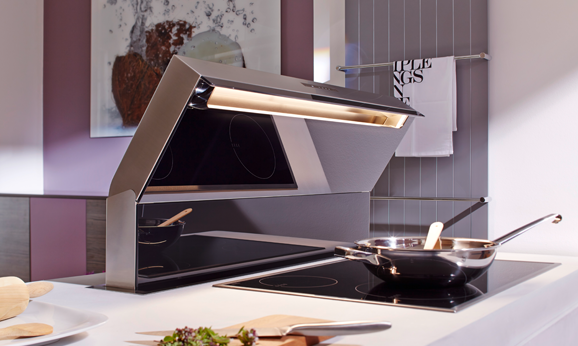 As a lighting object with LED technology, the quiet extractor hoods of the Skyline family really shine. 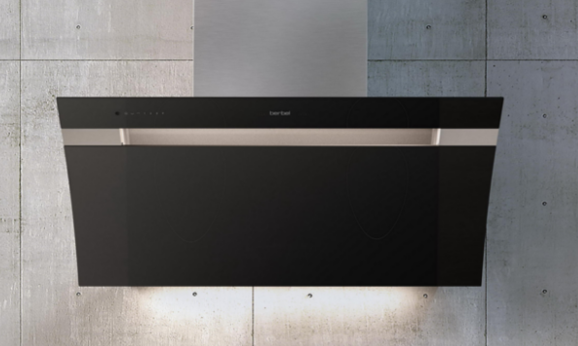 This height-adjustable extractor hood is easy to clean. 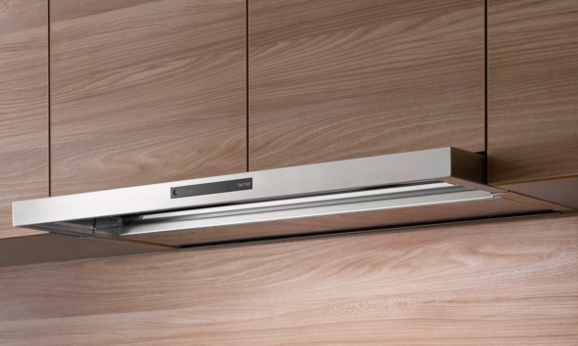 Another smart feature: The quietness of the extractor hood. 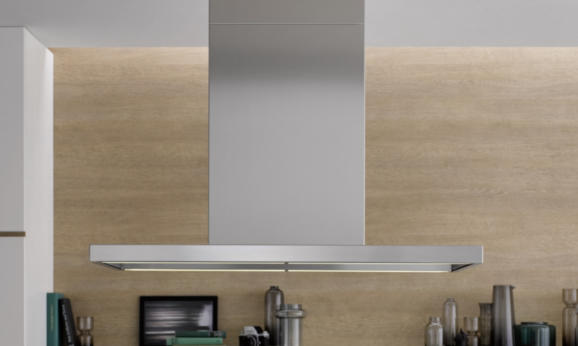 With the Skyline Round ceiling lift hood, you can be sure of all-round performance for cleaning air in your kitchen. Its strengths lie in high-quality LED lighting and minimum noise development.